Doyle Brunson or as he is also known "Godfather of Poker" is known to all poker fans around the globe. Learn everything about Doyle here. Doyle Brunson is a name known to all avid poker fans and to those who treat poker as just one of many pastimes alike. Often termed “Godfather of poker”, this is a man who has truly seen it all. Born on August 10 1933 in Longworth, Texas, he had a promising sports career ahead of him before a serious knee injury decided that his life would take a different path. Soon after, he started his climb to poker greatness playing mostly in illegal games across the country. His stories and adventures are next to none other in the poker world and include truly movie-like plots and twists. After several years of travelling with his good friend Dwayne Hamilton, playing poker and gambling on everything that would present a good opportunity, Brunson has finally found his place in the Mecca of gambling world – Las Vegas. Playing regularly in the World Series of Poker Main Event since its inception in 1970, he managed to pull off back-to-back victories in 1976 and 1977. Although the fields back then were much, much smaller, it helped with establishing his name as the one that would forever enter the list of true poker legends. He confirmed his poker skills further by winning total of ten WSOP bracelets. One of the greatest additions from Doyle Brunson, or “Texas Dolly” as he came to be known after Jimmy Snyder’s clumsy announcement, is certainly his “Super System” (or “How I made Over $1,000,000 Playing Poker”, as it was originally entitled) published in 1979, especially its chapter on No Limit Hold’em. In the period when Texas Hold’em was still a rather new game, he introduced ideas and concepts that were revolutionary. This was probably the first comprehensive poker strategy publication to date. In the year of 1988, he was introduced to the Poker Hall of Fame, a greatest acknowledgment outside the felt that any player can receive. It was recognition for everything he stood for and has done for development and acceptance of poker across the globe. Even today, at the ripe age of 80, he can still be found playing and butting heads with some of the best in the game. True fire and passion for the game have never left Dolly for even the shortest time. He is one of those people that simply get recognized wherever any form of poker is played and not many can boast this. The perseverance and the fighting spirit that made him the great player that he is have also helped him survive in the often cruel poker world for over five decades. His legacy continues through his son Tod, who also managed to win a WSOP bracelet in 2005 in Omaha Hi-Lo event, thus making these two the first father – son combination to win WSOP bracelets. One thing is certain: The Godfather of Poker is a one person who will always be welcomed and fare-welled from the poker tournaments by rounds of applauses and cheering of his numerous fans and admirers recognizing that the strength to overcome the hassle he must be going through to appear on live tournaments these days can only come from one thing – a true love for the game. There are a lot of videos here on Pokertube from different tournaments and cash games you can go through if you want to see the legend in action! An online poker forum poster saw both Gus Hansen and Doyle Brunson competing for high stakes in Bobby's Room. Gunfire was a common occurrence during poker games in the old Wild West and it seems little has changed, with police arresting two teenagers in the Planet Hollywood. It seems that poker legend Doyle ‘Texas Dolly’ Brunson may well be outing in an appearance at this summer’s Vegas shindig. The Poker Hall of Fame came calling for Doyle Brunson in 1988, and 29 years later, the Big Country Athletic Hall of Fame has honored Texas Dolly with enshrinement. ​A recent video of "Poker Hands with Doug Polk" took us back to the days of "High Stakes Poker" and a whopping $818,100 pot. Th​e high stakes cash game at Bobby's Room at the Bellagio was reportedly a wild scene a few days ago when $150,000 in chips landed on the floor. ​Since the US presidential campaign started, the Twitter Wars have gone to a whole new level. 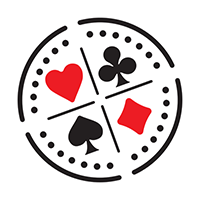 Most of the poker professionals in America joined the dispute. The reason for Brunson's bad feeling? The US presidential battle between Trump and Clinton of course, which has set friend against friend or – in this case –foe against foe. Is There a Bias in the Poker Hall of Fame? Controversy gives some validation and meaning to the honor, but too much controversy can threaten the integrity of the honor to the point that it becomes meaningless. Did Someone Try to Rob Doyle Brunson? ​He may be 83 years old, but anyone who comes looking to rob poker legend Doyle ‘Texas Dolly’ Brunson is in for a big surprise – a.357 Magnum surprise if his latest robbery story is anything to go by!